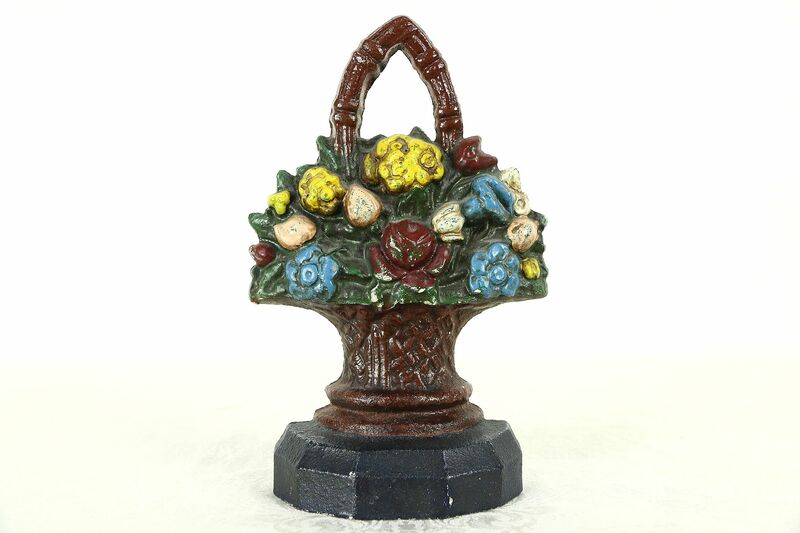 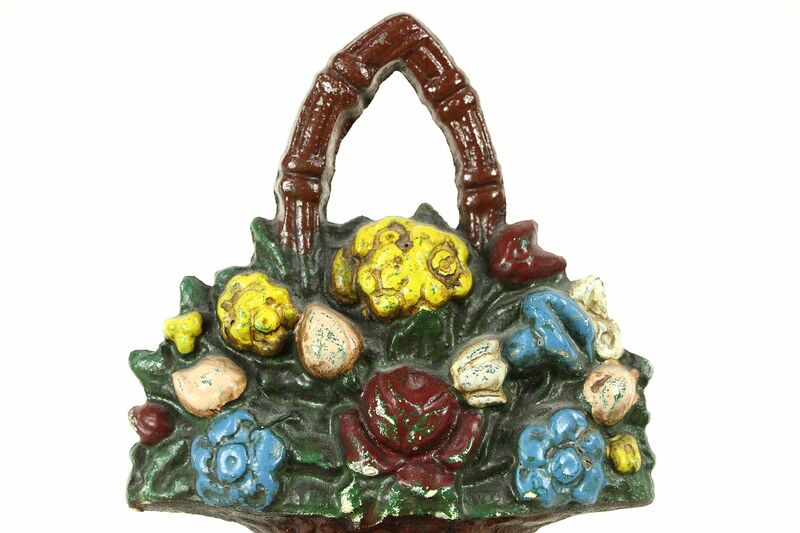 A cast iron doorstop in the shape of a brown basket of flowers has original hand painting that is well worn. 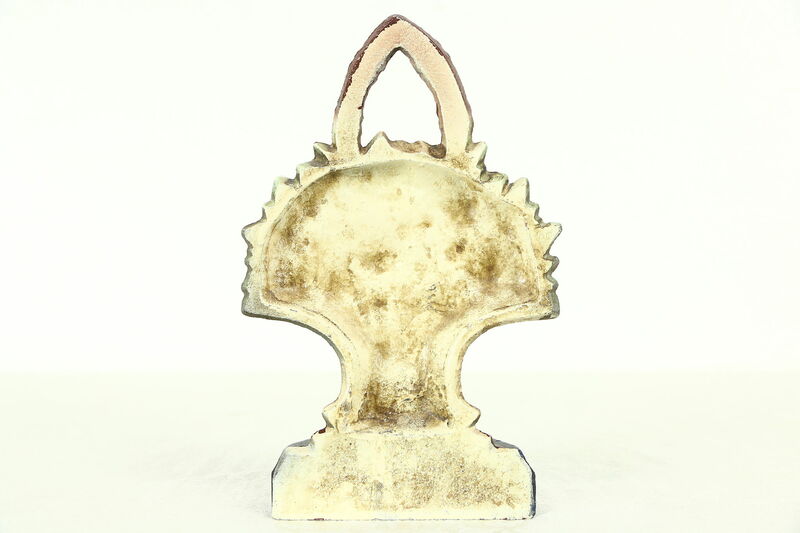 This American made antique measures 6" across, 2" deep and 9" tall. 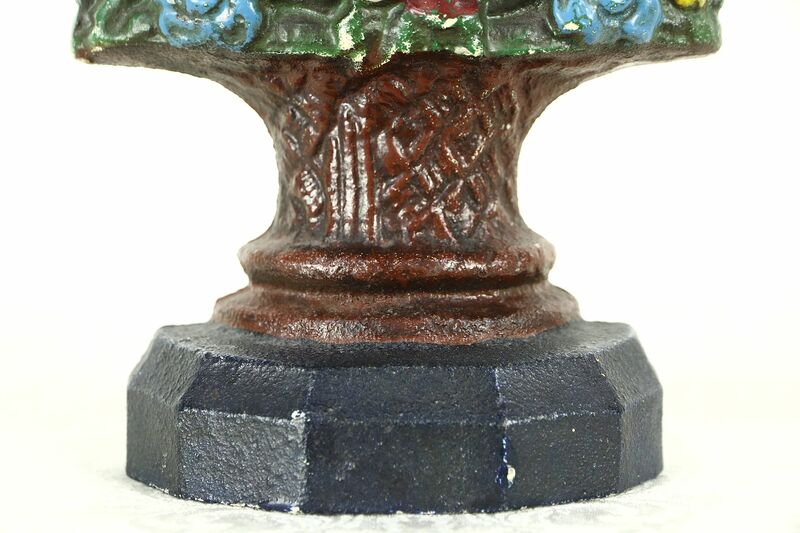 Standard Shipping is $11 in the US.